I want to take my ham radio abilities to a much higher level to try to make myself more useful to my community and of greater utility to my family’s lives. Where I am now: I have my tech license (as does my wife), two UV-5R HTs, a magna mount antenna, after market whip antennas, AA battery packs, computer cable and a few books (ARRL Operating Manual, repeater directory and Antenna Guide). I have programmed using CHiRP and gotten on my local repeater. I monitor sometimes. To be honest, I probably listen to the NOAA radio station more regularly. I have been to three meetings of my local amateur radio club in the last six months. I have no meat space friends or acquaintances who are hams. Oh, I also own a few Motorola handi-talkies. Goals: 1) Establish useful and resilient local communications in the neighborhood, city and county. 2) Establish connections with my local responder community and build situational awareness in dimensions difficult to do through normal media. 3) Establish communications credibility that I can use as an “in” to build local connections when I move to a new location with the military. 4)Enhance the communications resiliency of my family and ensure that redundant communications is not seen as “weird” or undesirable by my children. 5) Provide a vital service to my community in order to make the welfare of my family and myself important to the community. Lines of Effort: These are overarching approaches towards accomplishing the final objective. Its just a framework to ensure that you are not neglecting something as you work towards your goals. 2. Qualifications: Learn how to use ham radio that includes qualifications that will help me integrate into the ham radio and 1st responder community wherever I move. 3. Systems: Develop the technical expertise and organizational and planning systems to leverage communications systems for the security and safety of my family and community. 4. Infrastructure: Come up with a fiscally responsible plan to acquire the radios, accessories, knowledge and power redundancies to facilitate meeting my goals. LOE 1- Join as a dues paying member of my club. Attend events. Join a committee or working group. In my case, become a radio merit badge counselor and go to club station work days (I don’t know much so go move heavy things). Try to monitor weekly nets. Try to find other hams in the neighborhood and make my communications skills visible to those who are also preppers. Be prepared to share what I know about communications. I know more than a few preppers who own the radios (yes, Baofengs) but don’t know how to use them. Teach them. LOE 2- Continue to study and take my General Exam. Continue past it and get my Extra by the end of the year (the Extra license seems more important as a show of commitment to the hobby than opening up THAT many new bands). Get the Chemwife and myself SKYWARN trained and pursue my FEMA courses towards ARES membership. LOE 3- Learn how to use the radios I have and add HF as soon as feasible. Build a family contact plan with freqs, contact schedule and procedures for re-establishing communications. Build a signal propagation map of my area to include where I can and cannot reach with various radios, antennas and procedures. Learn digital modes. LOE 4- Acquire an HF Rig. Acquire a home or mobile rig for the home. Digital trunking scanner to monitor local emergency services. Build antennas. Go bag for emergencies. Backup power plan for communications. I suspect I will not stay with the Baofengs and will upgrade at some point. Tools, cabling and connectors. Well, that is where I am at the moment. I solicit feedback, suggestions, comments from the group. What am I forgetting? Clarification of intent: While I will not stop shooting, going to the gym or reading (far from it); I am committing to making this a large part of my leisure time activity. My shooting for instance is going down to maintenance levels for the year. So while this may seem ambitious (except to Cedar, who preps more before breakfast than I do all day), I think I am being realistic on what I can get done. I am committing to making this a large part of my leisure time activity. And this is how I manage to do it............. well .. usually. I re-evaluated my 13 in '13 as you 'forced' me too, but I chose to make some unrealistic goals to push myself, even if it was just to get myself thinking about them. I think you can easily do what you set out to do with this list of yours. I solicit feedback, suggestions, comments from the group. (1) Joining the local club has opened all kinds of doors, some of them listed below, and some just in terms of general help and quick advice. Excellent plan, and I see that you – correctly I believe – placed it first on the list. It also gives you a ready-made contact with the local emergency management agencies. (2) Does this club or any nearby have a weekly VHF/UHF net you can take part in? These are very helpful in getting things rolling with using your radios on a regular basis, and getting those first steps in with getting it all working smoothly. (3) Are you within Baofeng reach of any local repeaters? Get started talking to people that way, especially if there's a formal net asking for check-ins. Just listen to how everybody else does it and jump in. 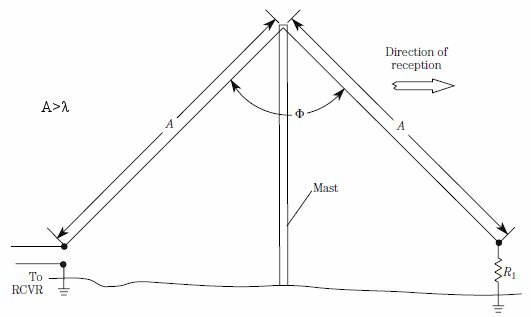 (3a) If you're on the edge of repeater range, consider building or buying a slim jim / j-pole type antenna to be able to reach it. These can be made for < $10, or bought for < $35. Combined with 25' of coax and a cooperative tree you can hit repeaters 20+ miles away with your Baofengs. (4) Back to the club... man, is a club ever the way to deals on gently used equipment. In the last month alone, I've seen three nice radios change hands at about 1/3 of list price. (5) Do you have an SSB-capable shortwave radio? While you're working toward your General license upgrade, you can listen in on some HF traffic and get a feel for how it's done. If you have an Android or iOS device, you can even begin decoding some digital signals. Yes, that is about right. I learned a lot studying for it last winter, and it felt great to pass it, but really I've hardly used the additional band space at all. General gives you all you need, and the main reason to go Extra is a desire to learn. Get the ARRL study guide anyway because it is also an excellent reference book and, who knows, you may get iced in for a week and need something to do. Good luck, and keep asking questions! Thanks Alan! PM sent on some of the stuff you posted. Sounds like a great plan, Chem. I look forward to hearing updates on your progress. Weird. Another set of overlapping goals with my own. 2) I joined a club, but it's more than 20 minutes away and I don't make it out to events unless I make a serious commitment. They have a lot of classes, gear rentals, etc. 3) I've visited the local EMCOM group and participate in their weekly VHF nets. I practice using a variety of radios and antennas. Even using my Baofeng UV5R walking my dog in different places to test things out. 5) I have a fantastic geographical location for VHF/UHF communications. There are a few repeaters that are 35 miles away that I can hit solidly with a 2M J-pole in my attic. What I am really lacking is more community. To be honest, the club is a lot of really old guys - very good and smart people, but I estimate the average age is 35 years older than me. When I come at them with questions about digital modes or crafty DIY stuff, some of them dismiss it. A few are really into contesting, etc. I just haven't "click" with anyone yet. I am meeting a lot of like minded folks in CERT training, and about 5 of us are hams, though most I've talked to much are very much in the early technician/HT phase. One guy couldn't believe I hit a 2meter repeater that was 40 miles away (it's line of sight across a body of water at 500ft elevation on each side). I was shocked someone had their ticket for 3 years and hadn't tried this. Upside is these folks are mostly preparedness minded and live nearby. Let me know how the infrastructure goes. There are some great HF rigs for $800, but that's still $800 my wife doesn't think should be spent on a "hobby"
I have that one licked. The wifey is on board with the ham, but I still have to find the money amongst other family priorities. "Honey I know you have outgrown your ice skates, but daddy needs a new radio. Dont worry, only nerds ice skate. Would you like to go talk to strangers on the radio with me? Its fun..."
Oh, also I have seen some "virtual radio" programs advertised where you use the interwebs to simulate the controls and audio of HF. Perhaps that could be a way to work on your HF before you buy one? I will start a separate thread on my quest for an HF rig and solicit others advice. For the community thing perhaps you can find good knowledge building events with the club and then gather up you local techs to go to those events. Carpool to Hamfests and such. Cheering you on, ChemSoldier. Have been a ham for 34 years. You need any help, there are lots of Elmers here. (That's a ham radio term for "mentor"). Well, I am away from home on business for the moment so my start doesnt actually involve talking on the radio at all. I have my General Class study manual and am working my way though it. I have also been printing out useful material as I find it and am starting a binder for stuff like the Band plan the ARRL publishes. I started a multi-tabbed spreadsheet that has all the things I have, what I want (to include vendor and price info), all the hams I know, freqs I use or would want to use and the schedule of Nets I participate / might want to participate in. I brought one of my Baofengs along and have been working on programming it. The peanut gallery is right. Programming the Baofeng without chirp is freaking awful. Something that came to my attention is the possible need to use a baofeng HT as a GRMS transceiver. I realize there are regulations on wattage etc. But knowing frequencies and tones maybe a handy addition to your docs in case you need to communicate with 2 way VHF not on the ham bands. Again know the regs from FCC. Being on TDY in a foreign country and spending most of my time working has made finding time to operate and utilize my own ham equipment difficult. However, I have gotten some things that is moving towards my goals. I have spent a lot of time on the blogs, podcasts and Youtube channels of my fellow hams. I have learned a bit about HF operations, reviewed how to manually program my Baofeng and assorted other topics. I also have studied for my General ticket from the ARRL study guide. I have also been plotting upcoming ham purchases. The Youtube has been enormously helpful. I have watched people do things and seen things I had only read about in magazines and books. It has definitely helped my general ability to understand what I am reading to see the item and see it used by a person. I cannot recommend it enough. Just as one should spend lots of time listening on the radio, watching the youtubes is likewise valuable. I cannot wait to get home and start monitoring and talking more on the Baofeng. There is a VE session in the second week of December. I am going to test then, so it will involve some study in the coming weeks. I will take both the General and Extra test though I have no expectation of passing since I have not really been studying for it. ChemSoldier...great plan...talk to other local HAMs and build a relationship...but remember sometimes you have to build your own group by promoting new HAMs and helping others...to pay forward is a good way as SMURFHUNTER may tell you....he is part of "my" group. I got some studying done for my General and read a bit. The big thing though was getting to operate more on the Baofeng. I had the magna-mount up and monitored the national simplex calling freq most of the time. Unfortunately I only made two contacts in over a thousand miles of travel. Fortunately the first was right after getting on the interstate and we were headed in the same direction so we talked on and off for about three hours. Another was a fella sending from his house taking a break from HF due to atmospheric conditions who put out a call on the off chance that a passing car like mine would be monitoring. We had a decent rag chew before I passed out of range. Near the end of the trip I started to have a lot of static when something would break squelch. It continued even after I got home. I think water from a rain storm may have gotten in my mobile antenna. I need to attach my whip antenna and see if the static on the local repeater goes away. Tested the GMRS radios around the neighborhood today. I had the 7 year old sit in the kitchen while I walked around the neighborhood. We could talk between one radio inside the house and most places we go in the neighborhood (though when on the playground at the park, the signal quality was a lot better on top of the jungle gym ). A two pack of radios may be Christmas gifts for the two families on our block that know and are cool with the prepping. On the agenda this week is a lot more studying and a ham radio club meeting. Another was a fella sending from his house taking a break from HF due to atmospheric conditions who put out a call on the off chance that a passing car like mine would be monitoring. We had a decent rag chew before I passed out of range. Funny, I had a random call like that a couple of weeks ago from a guy passing by on I-10, about 10 miles away. It was almost HF-ish. Tested the GMRS radios around the neighborhood today. I had the 7 year old sit in the kitchen while I walked around the neighborhood. ... A two pack of radios may be Christmas gifts for the two families on our block that know and are cool with the prepping. What kind of ranges did you get? In similar neighborhood walk-arounds, we're getting 1/2 mile on FRS, 3/4 mile on GMRS. Good presents! A similar gift from around 2002-ish was a godsend after Katrina. What kind of ranges did you get? In similar neighborhood walk-arounds, we're getting 1/2 mile on FRS, 3/4 mile on GMRS. About the same here, probably a little less range (maybe 15% less). We likely could have gotten more with the home radio standing on the porch rather than inside the house. Could use the home VHF set up to monitor and step out on the porch to transmit with the GMRS. So I went to my Ham Club's "Ham Breakfast" Saturday at a local diner. I brought the whole crew with me, little ones are a great conversation starter. I have started putting faces to call signs. Met one of the top three or so in Colorado Springs ARES. I got roped into helping with the set up for today's special events station. The club did a Pearl Harbor Day special event station. I was so irritated at the news last night I forgot to post about it on the Ham board. Today was the special event station out of a local volunteer firehouse, which is also the home station for my club. We had three HF rigs, two base stations, one operating on a big long wire type antenna that are still beyond me in describing, The other base station was off of a hamstick dipole up around 30 feet. The final HF was the ARES guy's portable rig. He has a big box with two radios in it. One is an APRS equipped dual band radio. The other is a big quad band radio that he was using for HF and running an NVIS antenna. The whole smash was powered by a car battery and he had a solar charger set up as well running off two solar panels. Pretty cool set-up. I made my first QSOs on HF operating as the event station. Indiana, Oregon, Kansas, New York, New Mexico, Washington State, California, Canada, Ohio, Illinois. Tried to juggle my first pile-up with mixed success. Unfortunately my battle was eating lunch when it occurred so I was manning the radio, trying to copy things down while remembering how to talk properly on the radio. But I muddled through. 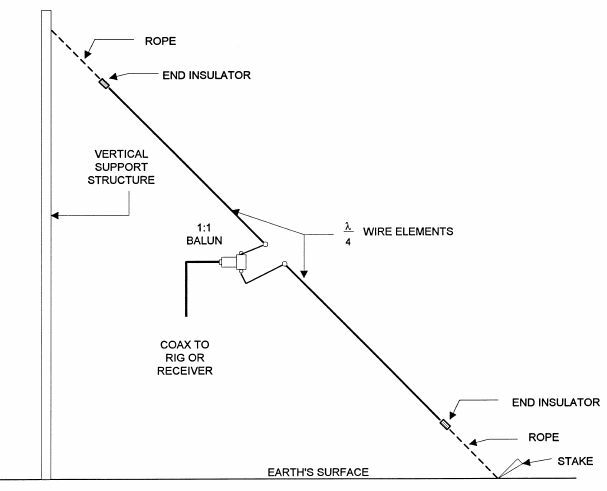 I learned a bit about setting up antennas, how coax works and a little about antenna tuning. One of the old birds in the club gave the spiel about how people should head to hardware store with thirty bucks, not spend hundreds on purpose build antennas. I told him I was calling his bluff and he needs to come with me to the hardware store and show the whipper snapper how it is done. Meanwhile the rug rats got a guided tour of the firehouse and the trucks from one of the ladies who is a volunteer firefighter, treasurer of the department, one of their EMTs and had a tremendous number of facial piercings and tattoos. Don't judge a book by its cover. The relationship between the department and the ham radio club has been beneficial. A little volunteer department has a great communications set up and the ham club has partnered with them to give the department a back up power capability that would likely be the envy of a big city firehouse. Oh...are feeling a little old? Do you need a new hobby with social life? Then dont take up video games, you are going to be the oldest person in the room. Take up ham radio! My city has 4 or so ham radio clubs. I am not the youngest, but the youngest who was present today. There are other groups in town where a 60 year old can slide in and be the youngster. Also, preppers are the norm in this crowd. The may not all read JW,R (though some definitely do!) but they are definitely prepared. Good times, Wednesday is their annual Christmas party. They are raffling off three radios and a bunch of other goodies. Loving it. Good for you Chem...HAM clubs are small social groups and once you get to know others ,they make for a great support group. I am glad you got such friendly,positive response as some clubs are not so open to new-comers as they are mostly preppers without knowing it as such...always back-up as if the hobby were the most important thing to them...and for some ,it is. Sounds like about a perfect ham weekend, Chem. Glad the family was in on it and had fun too. That's the best. It sounds as though Chem's beat me to it, as was going to suggest doing more reading about HF antenna design and keeping on the lookout for second hand gear that's got good ratings online and is available for cheap. The latest ARES meeting described a few post above apparently has him well down the road of networking with people who'll set him straight in that direction. Besides, a decent used HF rig can sometimes be had at the fraction of the cost of new and a safe bet if it comes from someone that can be trusted and vouched for. There's so much to do, it's almost stressful. BUT, I have a very narrow lot, and can't span a horizontal 100+ foot dipole. Frankly even if the Junior size model (think you lose 80meter) would be tight fit if I want to keep it mounted along my roof line. Also, I'm not sure if facing west makes a difference. Most likely I'll be talking towards the east of me. Think my height is ok, as my house sits @ ~600ft above sea level, and the roof line is more than 40ft at the peak. Remember Smurfie...they draw antennas in a straight line 'cause it is easy to draw a straight line, antennas can take a corner and still do fine with slight tuning adjustments (I am thankful for auto-tuners) an antenna can 'fold back' within 2 feet of itself and still function well...not perfect, but we are not in a perfect world. Biggest downside with the sloping arrangements are the directional nature. My back lot faces west (I live on the US west coast), but most likely I want to talk to other north americans to my EAST. Better to support the feed point as coax is not climbing rope and is prone to stretch/flex damage and really should not support it's own weight for more than a few feet (less than 10 feet) to avoid trouble in short order...may not even last a few weeks un-supported. A para-cord support along the length of the antenna and the coax too...will help longevity a bunce if it is a 'have to' configuration. Depending on where your house is on your lot, you could try a loop antenna. With 69 feet on each side it will work on 80, 40, 20, 15 and 10 meters with out much trouble. A two to one balun helps here. Well, I have not updated this in a while. I am still a tech, I test for my General this coming weekend. The study on it goes pretty well. My math is really poor and some of it has turned into sheer memorization. I tested 88% on my last practice exam. My wife and I are active in our local ham club and I am even the field day committee chair. We are not trying to win any awards but we are trying to up our game every year. I have three prepper minded friends testing for their tech next week! I still do not own an HF rig. I have two handhelds and an FT-2900 as my transceivers. However I have purchased two different short wave receivers and have been playing with those. They are fun, I totally blame Alan Georges and the SWL blog for the fact that I own almost as many receivers and transceivers. Wish me luck with the General exam and even more so, wish my friends luck in getting their Tech and adding to the network! Hamfest season is fast approaching. I'm still quite happy with my < $300 used HF transceiver I got a year ago. I can solidly hit CO from my QTH on 20m and 40m every day of the week. Maybe we can QSO some day soon. I tested 88% on my last practice exam. Sounds like you'll do fine. I remember seeing somewhere "when you're getting above 85% on the practice exams, you're all but guaranteed to pass." Most people report doing about one question better on the real test. In the same way that people frequently shoot better from their weak side during competitions, something about slowing down and concentrating makes us all do better. It is exhausting though. They are fun, I totally blame Alan Georges and the SWL blog for the fact that I own almost as many receivers and transceivers. Angry wives: the real reason I post under a pseudonym. Good luck this weekend Chem. Hmmm, let's try and set this one up to reach deep into the southeast too. Once you start hitting in the 90's for the practice tests you should be good to go. While the math is not that hard for general; it does require you to focus on a few things. Now if you want a bit more in math may I recommend you look at the "extra". A bit more complex that the first two tests combined. And this weekend I managed to be that sort of young guy at one of the local ham groups for breakfast. Interesting collection of folks. I even found someone I use to sort of work at the same location back in the late 80's. Small world after all. Yes, indeed. Look me up on qrz and PM if you need my callsign.